Photo courtesy of zimbio.com. 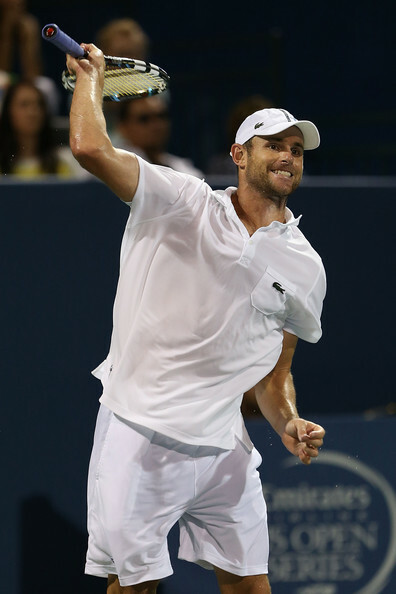 Andy Roddick (pictured above) won his 32nd career ATP title on Sunday in Atlanta. An “unprecedented” punishment is on the way that does not involve the death penalty in “Happy” Valley. Barry Larkin is officially a member of one of the most exclusive fraternities in sports. The “Tiger Tease” was a mere subplot at “The Open.” And the NFL crime spree continues. Can training camp please start now? Last week was great, but this week is sure to be full of excitement in its own right. Here are the events to keep an eye on. Photo courtesy of zimbio.com. 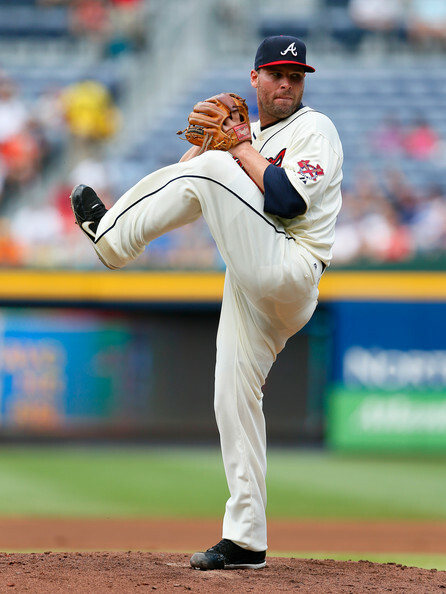 Ben Sheets (pictured above) started his first Major League game in nearly two years on Sunday. It looked as if he had never left. Holy Sheets. Ben Sheets is back. After a nearly two-year hiatus between Major League starts, Ben Sheets proved that he isn’t done yet. If I were the Washington Nationals, I would take note. With Ben Sheets back, Atlanta not only is a wild-card contender, but they are a pennant contender. Ben Sheets learned the number one rule that applies to all pitchers at a young age and never forgot it. This rule is the secret to being a successful pitcher. Did you forget when Sheets had a 116/11 strikeout-to-walk ratio back in 2006? Or his 264/32 mark in 2004? Guy could paint the corners in a similar fashion to Greg Maddux in the mid-90s while bringing the heat. These days, the velocity is not going to be the same as it once was for Sheets. Do not expect to see any 98 mph gas like the good old days. But do expect to see the ball paint the corners and keep hitters off-balance. Photo courtesy of zimbio.com. 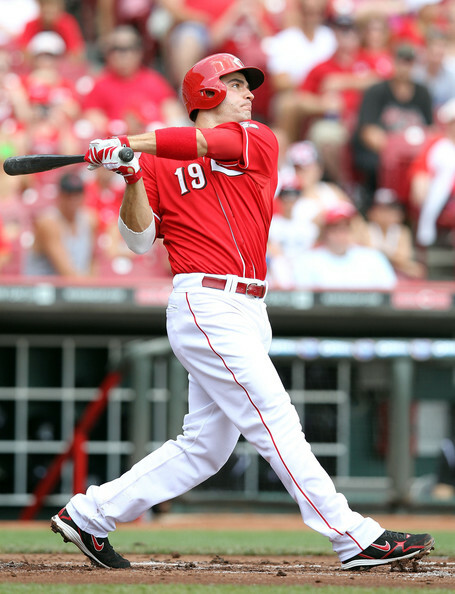 Joey Votto (pictured above) is having a year for the ages. Is it the greatest Cincinnati has ever seen? Victor Kamesar is a die-hard Cincinnatian who currently finds himself across the country. Despite being out in Cowboy Country (Norman, Oklahoma), Victor still finds time to follow his hometown Reds, Bengals, and Bearcats. Photo courtesy of sports.yahoo.com. One of the greatest Cincinnati Reds of all time, Barry Larkin (pictured above), is heading to Cooperstown. Just because we have entered a new year does not mean that the sporting world is going on a break. Actually, it feels like sports have really picked up the intensity if anything. Often, especially during 2011, sports news has been heavily focused on the bad. Many controversial things occurred that we all wish never would have never happened. Today though, we focus predominantly on the good. The state of Colorado has converted from “Mountain Time” to “Tebow Time” (thanks ESPN). A Cincinnati Reds great has been inducted into the baseball Hall of Fame. And we are only just beginning the jam-packed week. Here are the items that have caught my attention.